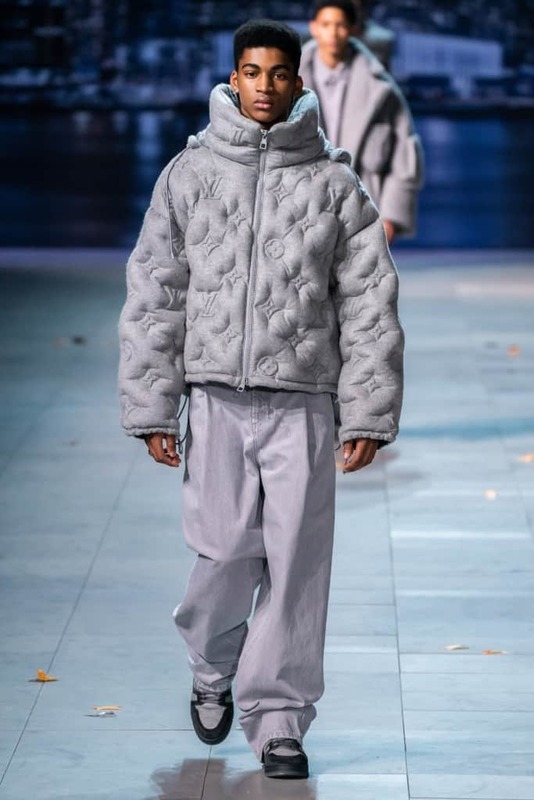 2019 has been a big year for menswear thus far, and we’re just getting started. 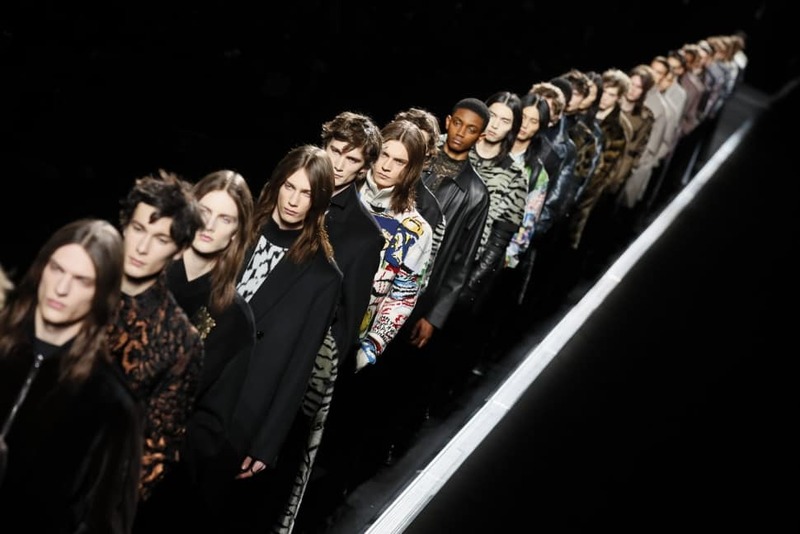 Hedi Slimane debuted Celine’s first ever menswear collection, Virgil Abloh, and Kim Jones revealed their second offerings at Louis Vuitton and Dior respectively, and Kris Van Assche made his Berluti debut. One thing is for sure amongst the fray. 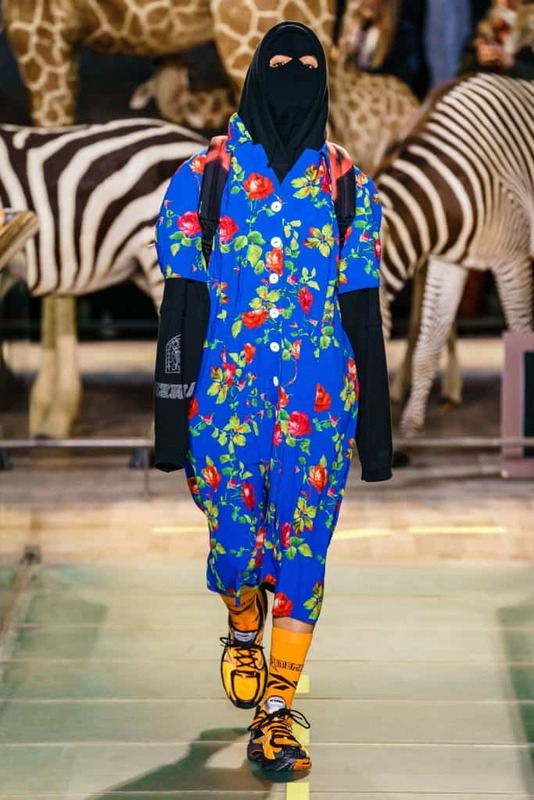 Menswear is not what it once was. 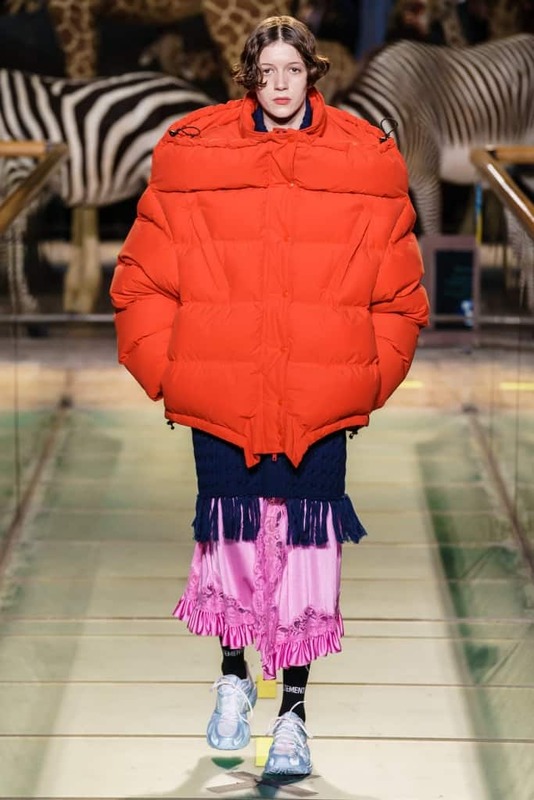 Expected to outpace the revenues of the womenswear market, with a compounded annual growth of five percent over the next two years; designers are upping the ante. 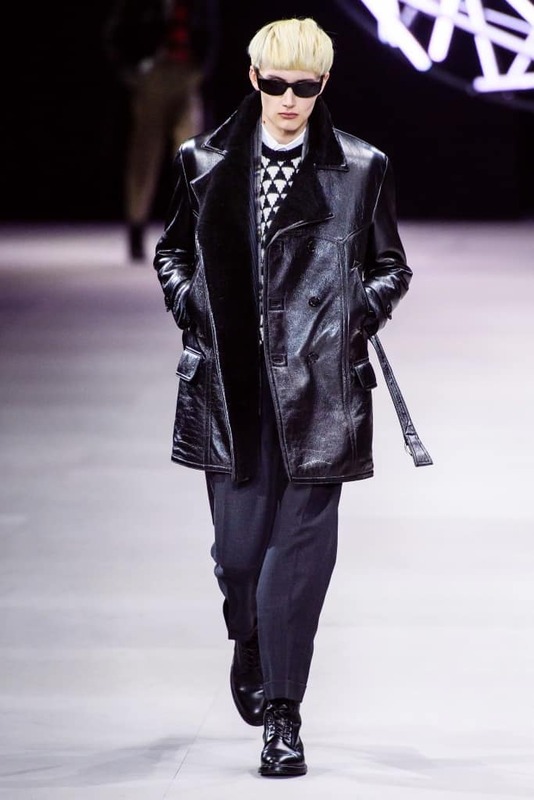 Hedi Slimane made his comeback in his first stand-alone menswear show for Celine, opting for a straightforward interpretation of the classic Slimane codes of style. 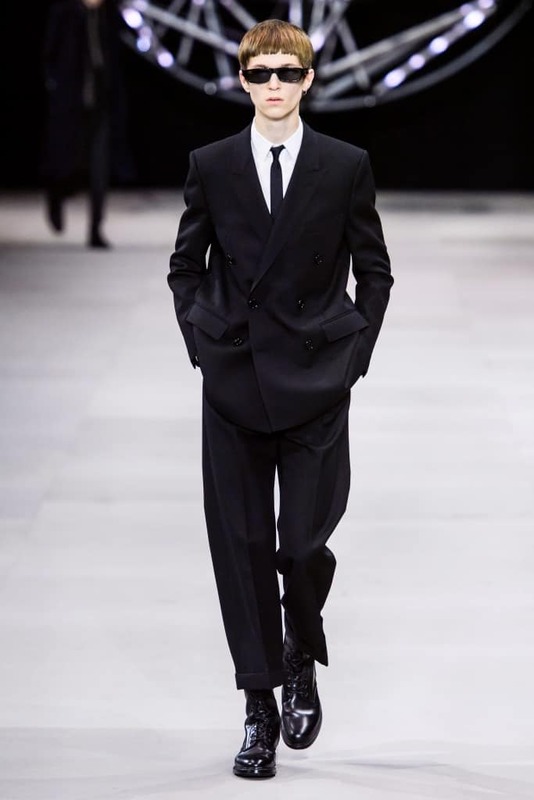 Double-breasted suits, white shirts, black skinny ties, and New Wave way-farer shades. 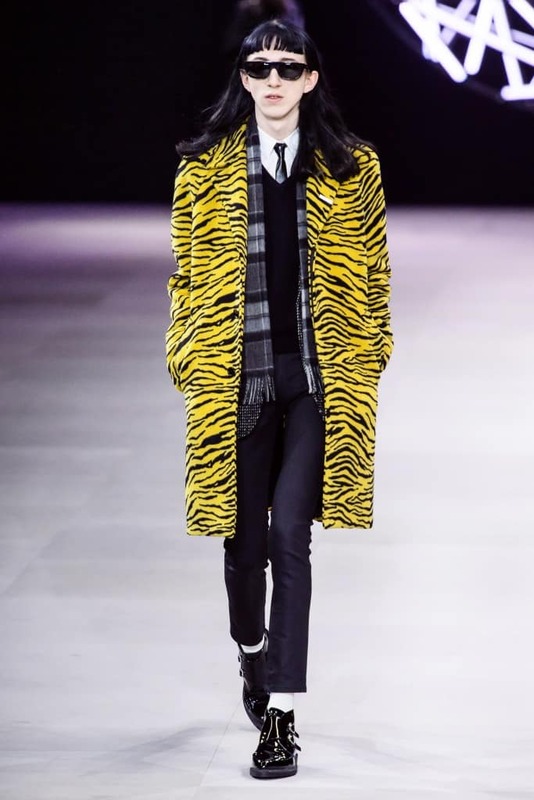 Eschewing the streetwear ubiquity of menswear as of late, Slimane’s classic music-cult heritage style felt like a breath of cool, effortless, tailored fresh air. 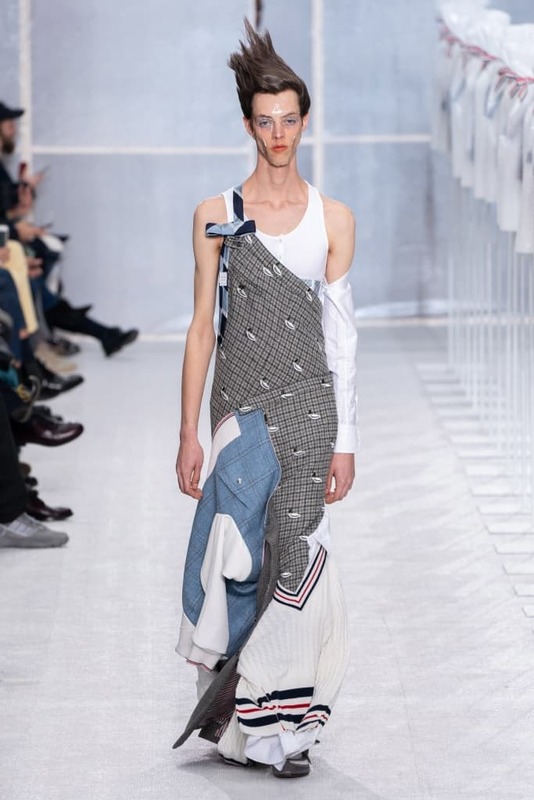 Thom Browne’s Men’s Fall 2019 offering was an exercise in deconstruction. 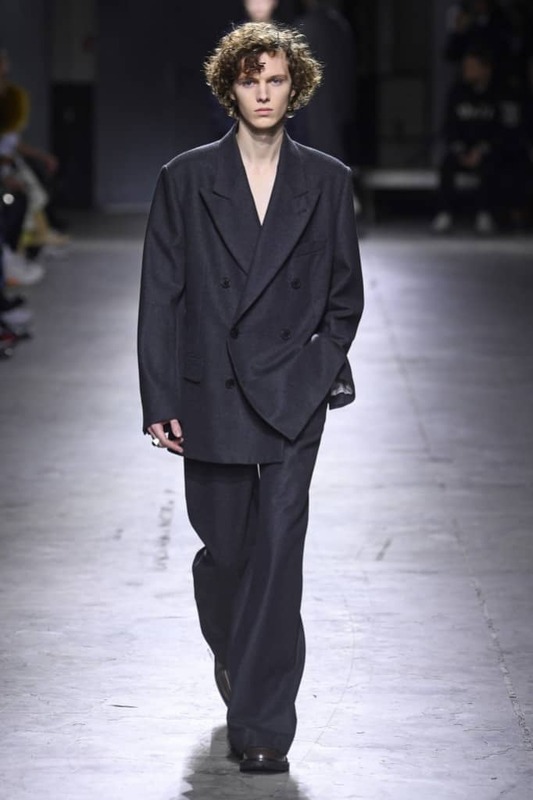 An exploration of tailoring and sartorial codes of the masculine re-appropriated through a feminine lens. The highlight? A series of elaborate gowns crafted from suits patchworked together and draped across the body, oscillating between trompe l’oeils and real garments sewn together. 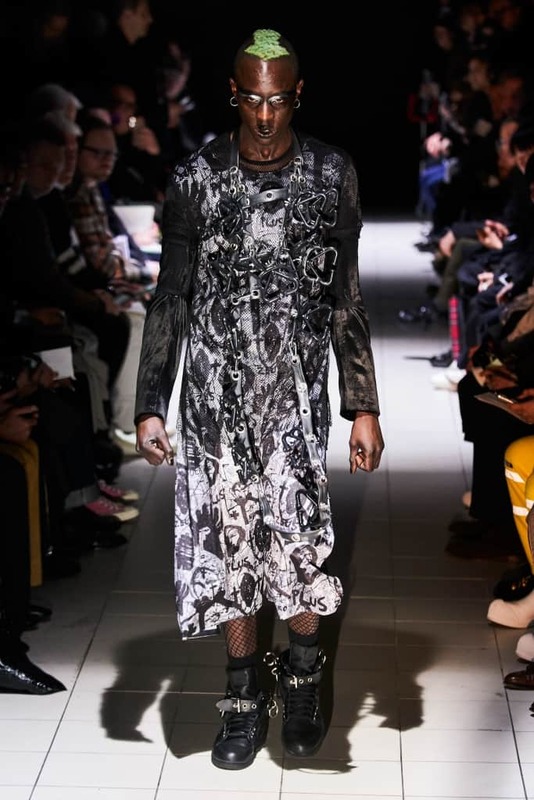 Inspired by the nihilism and counter-culture of ’70s and ’80s goth, Rei Kawakubo’s Fall 2019 menswear offering was doused in heavy helping of black. 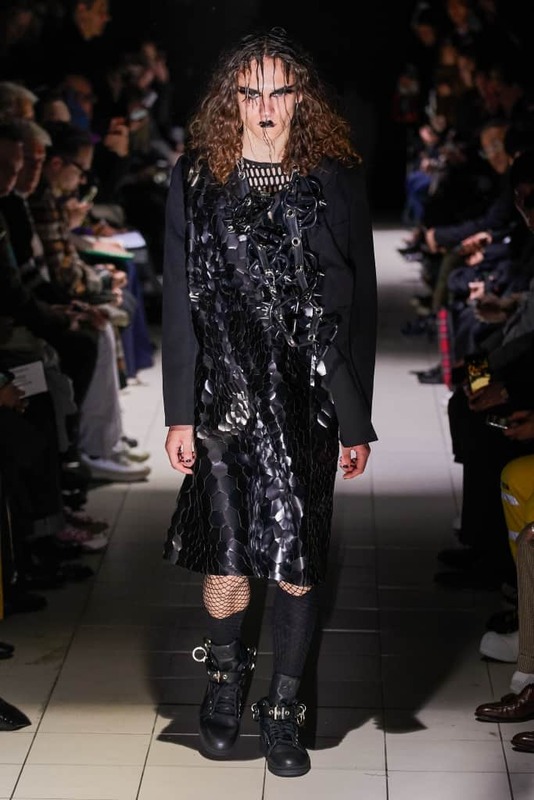 Black eye makeup, black lips, predominantly all-black harness-heavy looks appeared throughout, juxtaposed by velvet blazers, chaotic monochrome dresses, and mesh tops. 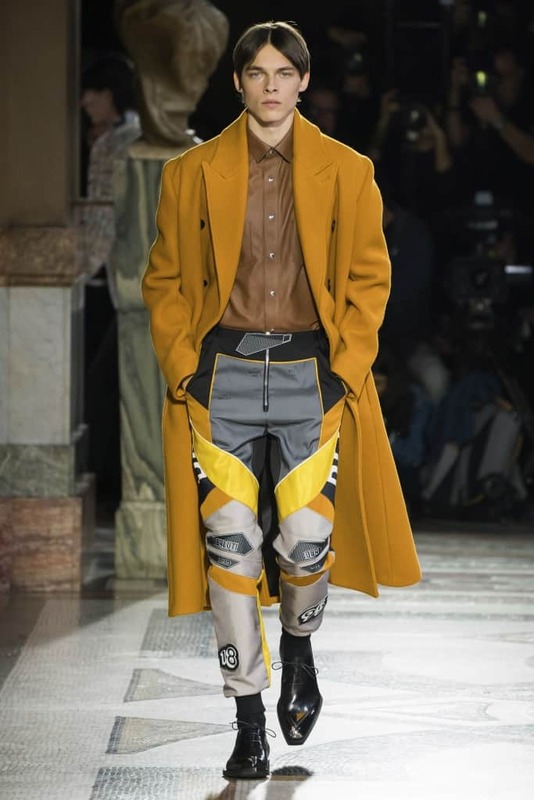 The collection was brooding and dark in a contemporary way; a welcome singularity of vision in an age where eclecticism has become the norm. 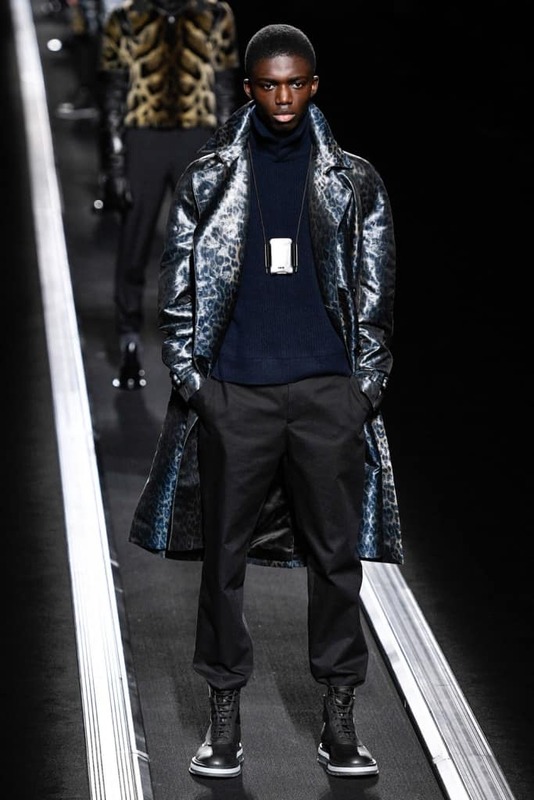 Kim Jones’ second collection for Dior Homme was all about clean silhouettes, asymmetric lines, and sumptuous materials. 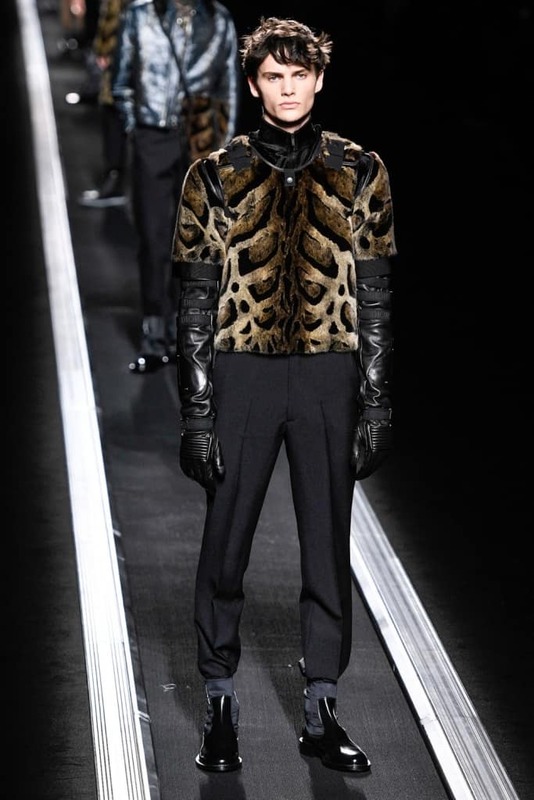 Utilitarian aesthetics were mixed with luxe fabrics and opulent prints for a juxtaposition that felt resolutely contemporary. 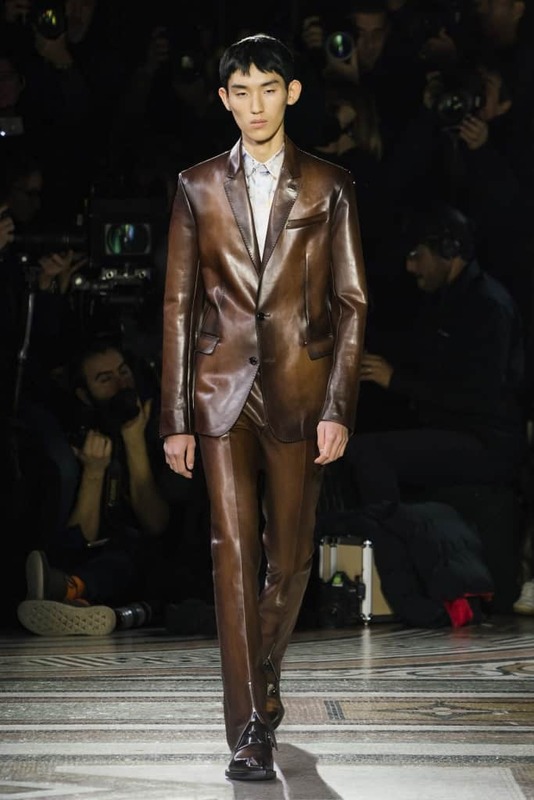 Kris Van Assche’s debut collection for Berluti was an expert mix of classic cuts and impeccable tailoring juxtaposed by luxe fabrication, loud colours, and contemporary styling. 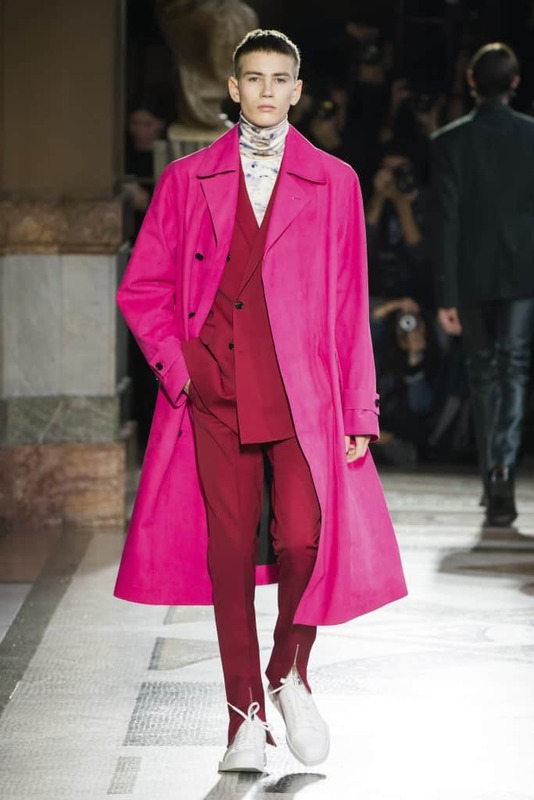 Moto pants were layered under fuschia and mustard over-coats and suits were rendered in patinated leather and crimson rouge. 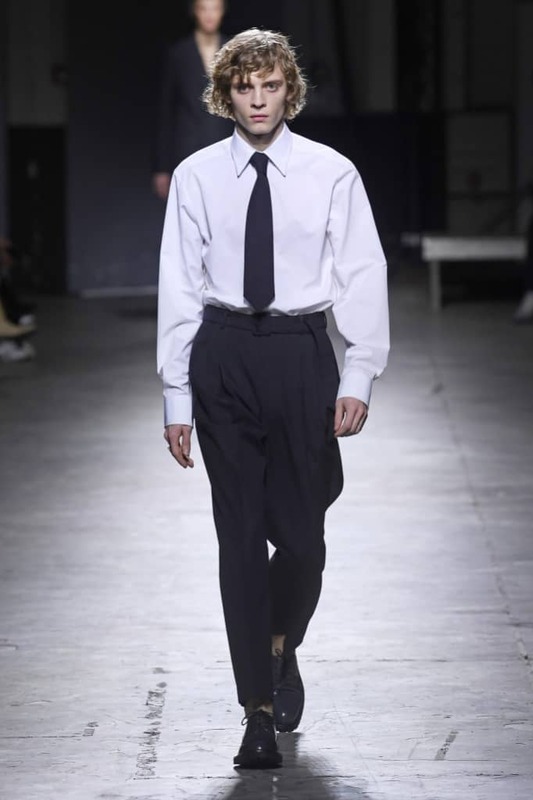 Demna Gvasalia has always utilized Vetements as a sartorial manifestation of the times. 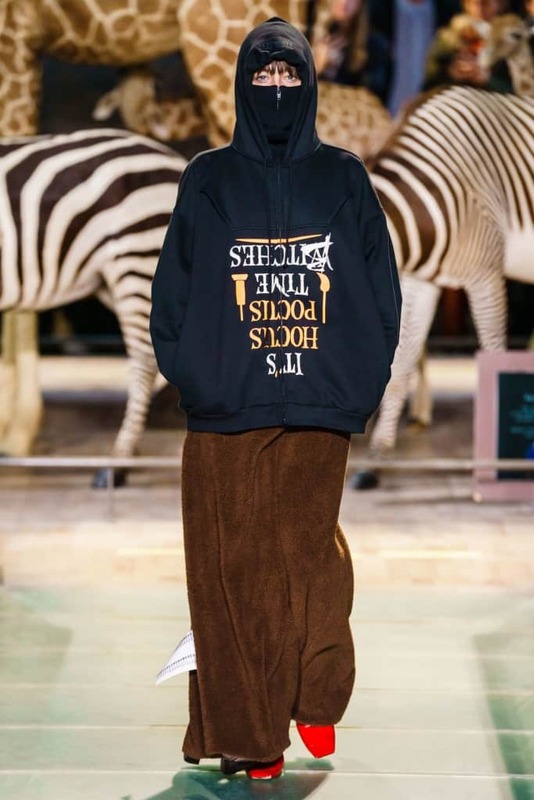 Whether it’s commenting on knock-off culture or capitalism, the brand has been a sort of catharsis within the fashion community. 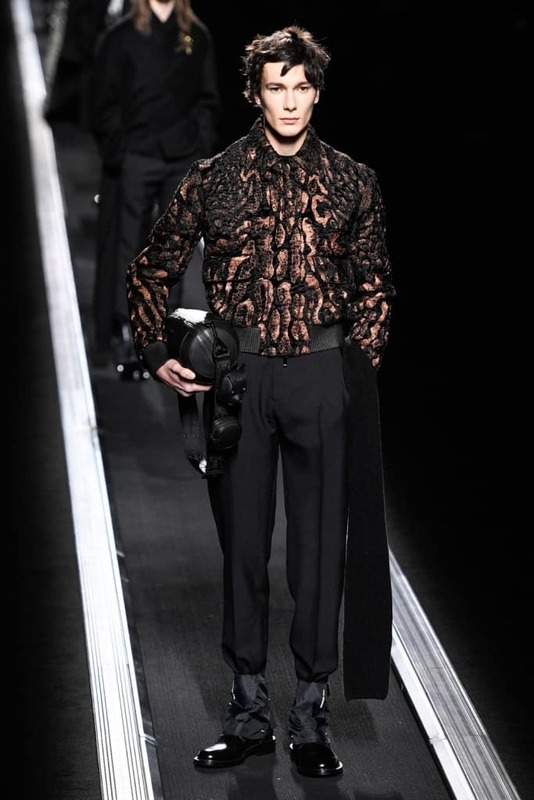 It’s not so much about the clothes per se as it is about how they subvert the very institutions they emerge within. 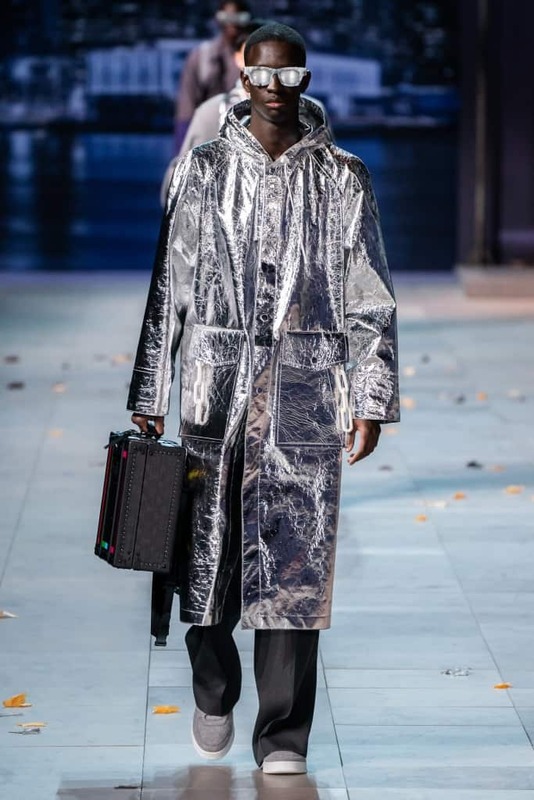 For Fall 2019, Gvasalia takes on the Dark Web. The collection is an ode to, and a warning about, the deeply seated counter cultures that run anonymously beneath the surface of the internet. “Anti-social” he called it, the perfect encapsulation of the social media age. 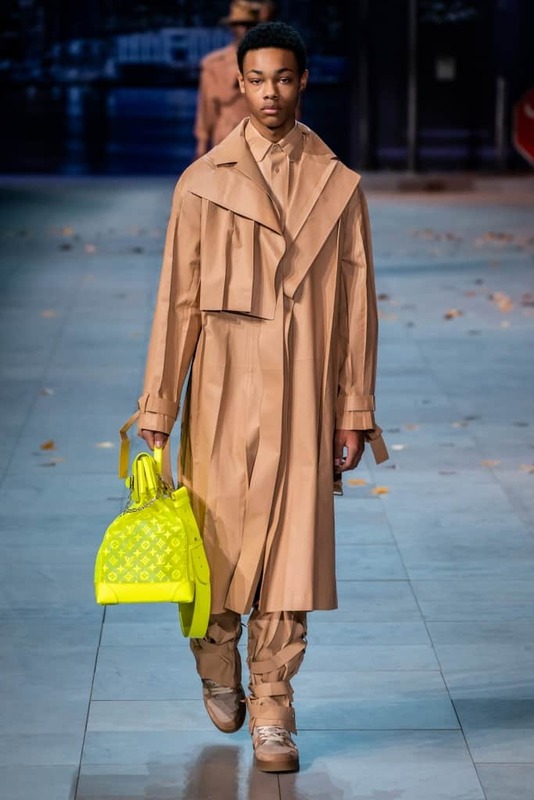 Virgil Abloh’s sophomore show for Louis Vuitton was centered around the legacy of the late Michael Jackson. The point, he maintained, was “not to make costume, but to take him as backdrop, to make a point about the humanity in his vision. 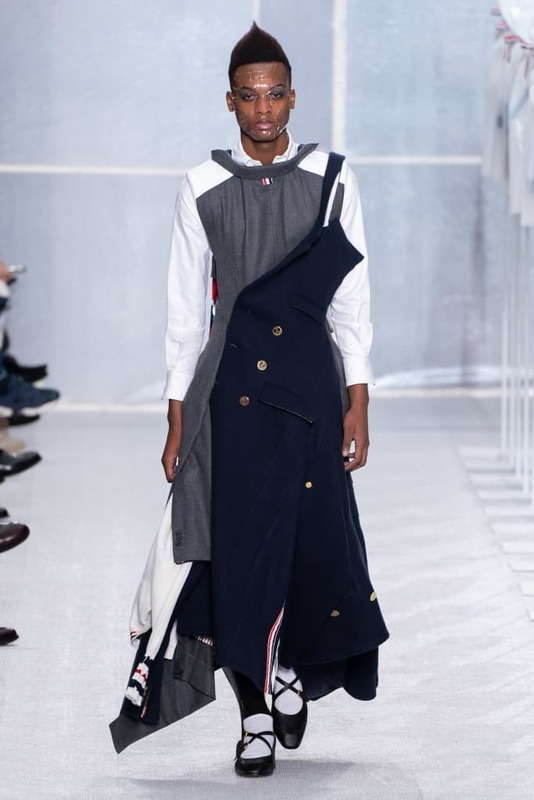 I wanted humanity in the forefront.” Set on a New York sidewalk a la Billie Jean, the collection, featuring layered tailoring and Abloh’s signature streetwear aesthetics was the perfect distillation of the contemporary menswear consumer. 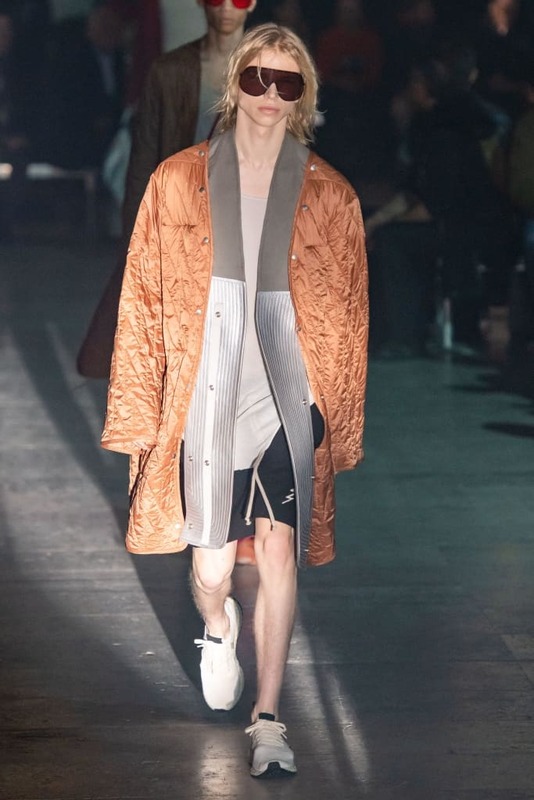 The show notes for Dries Van Noten’s Fall 2019 Mens collection promised “a view on tailoring for the next generation” and “a step back from nonchalance and sportswear.” In an era where sportswear and athleisure are both ubiquitous and mainstream, what could be more subversive than sophistication? 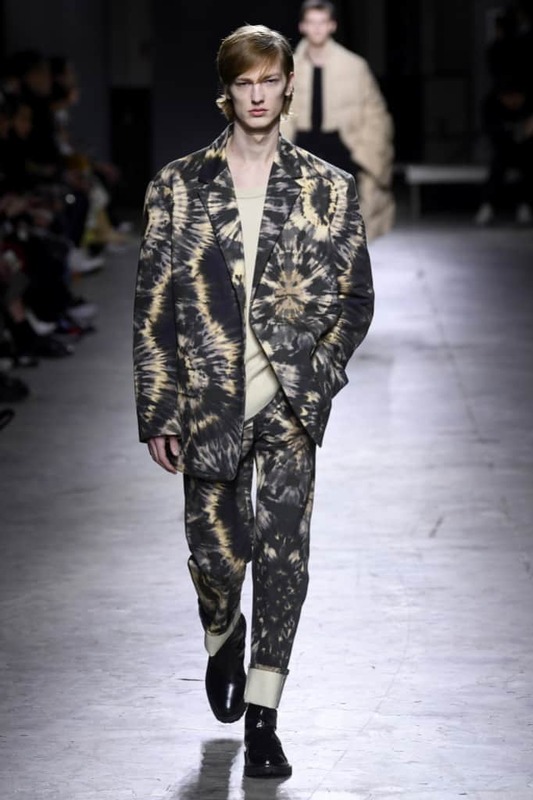 The collection was clean and focused; sartorial staples with chic exaggerated proportions mixed with sharp tailoring, disrupted by optical prints of tie-dye, a graphic motif that felt resolutely contemporary amidst the simplicity. 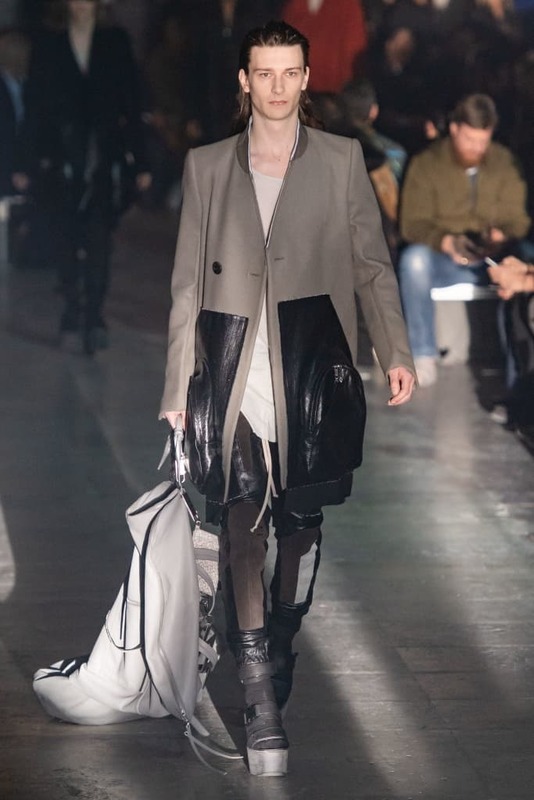 An ode to Larry LeGaspi, the late designer who crafted the aesthetics of icons such as Patti Labelle, Kiss, and Grace Jones, Rick Owens Fall 2019 Mens collection was aptly titled “Larry.” A melange of Seventies glam hard rock with a sharp edge to it, accented by clomping platform boots and colored futuristic sunglasses. 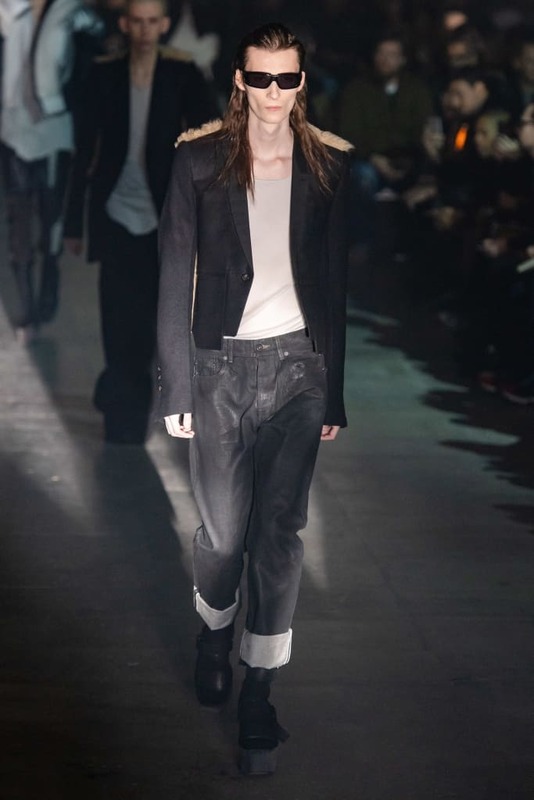 The offering was an expertly crafted mixture of Owen’s signature aesthetic with a contemporary and approachable sensibility.